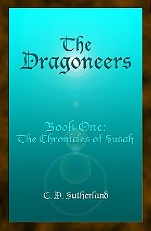 B-52 Pilot turned novelist with THE DRAGONEERS, Amazon's #1 top-rated Religious Fantasy for the first 279 days of 2012 and it's amazing sequels THE LOST DRAGONEER and THE LAST DRAGONEER. Or so it seems. My blogs are continually filled with thousands of spam messages, now what am I supposed to do with all that? The ability to spam blogs has grown faster than my free time at posting new information. Until I can hire an IT team to get this under control, I'm considering using the commercial blogs out there in the cyberverse, started one yesterday. This one is called Antediluvian Steampunk and it is concerned with my novels. You might want to check it out while I'm trying to figure out what to do with this site and all the others. Some of the post will seem familiar to those who've been reading my ramblings here. New EU new road safety measures attempting to reduce deaths from road accidents by a third are being proposed to fit all cars with devices to prevent cars from exceeding 70MPH, according to The Telegraph. Why would anyone buy a Ferrari, Porsche and Lamborghini if they had a top speed of 70MPH? How many of those 30,000 auto deaths in Europe were from cars exceeding 70MPH? In the United States, during 2009, according to the Census Bureau, 31% of the traffic fatalities were speeding related; however, only a little over 10% were exceeding 55MPH and less than 3% of the fatalities were due to speeding over 55MPH on the Interstates. Did you know that more fatalities had occurred while speeding under 40MPH (4768) than fatalities for speeding in excess of 55MPH (3665)? Common logic suggests even fewer happened while exceeding 70MPH. What stop at 70MPH? Speed limiters set to 25MPH (about the gallop speed of a horse) might eliminate most if not all of the speeding-relating traffic fatalities, but who wants to live in a world like that? You can discover more about my books at my FaceBook Fan Page which I invite you to like, or you can check out my Amazon Author's Page. For details on my first novel, check out this page. 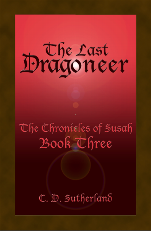 INTERESTED IN ANTEDILUVIAN STEAMPUNK? NOT SURE WHAT IT IS? STEAMPUNK IS LITERATURE WITH AN ALTERNATE PAST, REWRITING THE HISTORY OF TECHNOLOGY. ANTEDILUVIAN STEAMPUNK IS A RETRO-FUTURFANTISC TWIST ON BIBLICAL FICTION. CHECK IT OUT. The links below go to a blog, which is blocked on most .mil systems. If you desire go to my archive page you can use the link above this sentence or by using the menu at the top this page. Is nuclear incident a sign of deeper Air Force problems? Published in the Air Force Times, November 10, 2007 by Charles Sutherland -- Following an intense six-week investigation into the “Bent Spear” incident the press is briefed on the findings. As a former weapons loader and maintainer, I commend you for pointing out some of the remarks made by Maj. General Newton, who seemed to lay the blame, as is usually the case, on the airmen involved in the incident at Minot AFB. Although I agree the airmen deserve some of the blame, there are obviously other issues dealing with this "erosion" that has taken place in the Air Force. I am very worried the incident will be termed "isolated", and "that it has been dealt with accordingly, and will never happen again." Sure, maybe not an incident like this will happen again, but what about the other career fields? Does this solve all the Air Force's problems? One just needs to look at the cover of this weeks Air Force times, and see that there is a much larger problem going on. Planes being parked due to age and reliability. The F-15 fleet grounded due to a midair breakup of an F-15C Eagle. I do not think the big whigs can point fingers at airmen for all this. The point is, and you brought it up, is the Air Force needs to answer the five questions: who,what, when, where, and how? Was this incident at Minot an isolated one? I hope so. However, the fact does remain that there were other issues that contributed to the incident that did not seem to be addressed by Gen Newton. I would like to know why nuclear -armed cruise missles were stored in the same bunker as cruise missles with dummy warheads. I can remember there was a time when I was a loader, and we would load one half of the aircraft with inert weapons, and load the other side with live. This was discontinued almost immediately due to the confusion is created, and this was with conventional weapons. How this storage of weapons was allowed to happen is confusing to me. I would like to take this time to thank you for your service and expecially for pointing out some important questions that need to be answered by the leaders of the today's Air Force. You are absolutely correct about the 'erosion' problem in the Air Force. After the Air Force adopted Total Quality Management (TQM), our tried, tested and proven quality control and self inspection programs were for the most part eliminated. It also didn't help when the Air Force (and other services) were directed to reduce the number of regulations and directives during the mid '90s, and instead issue 'Instructions' with fewer pages and less details. Believe this was a result of the 'old global warming expert' Al Gore's initiative to reduce paper work though out the government. I enjoyed your article, however, it seemed to "dance around" the real issue and the most important of "how and why" although you did ask these questions in the 1-5 "Things that would be nice to know." However, as a reader, it left me hanging and guessing. As a retired Air Force Reserve Colonel, with 30 years service, the last ten as a senior officer I have a theory. I agree with you that the Air Force has a problem and this serious incident reflects an "erosion." I would submit to you, the real problem is an erosion of leadership. We simply do not place the right officers into critical leadership positions. Contrary to popular belief, not every senior officer is a true leader. During my career, I worked with some exceptional staff officers, however, once assigned to a command billet (the one with the "C" prefix on the manning document) they struggled and floundered, unable to lead, motivate or set the organizational goals. I saw this occur repeatedly, the individuals are set up for failure and we do a disservice to the personnel they are to lead. The fact is, after the mistake is made, the senior leaders who made these flawed selections of leaders, would stay in a "state of denial" it usually takes a major incident to have them removed and then the road back to recovery for the unit was long and difficult. In this incident, the Air Force should take a hard look at those individuals who were in leadership roles and do an honest "reality check"; did we have the best leaders in these positions? Were they the ones who can truly lead our Air Force into the future? Where is the root cause of the erosion? See most current B-52 RAP tasking messages, which contain a statement form COMACC. It read (paraphrase) “Focus on the GWOT…I will accept risk in other areas”. The ACC/IG’s representative responded to this question with, “that was not the staff’s intent”. Unfortunately, leaders at the group/wing level don’t have a staff-intent-o-meter and have to read the written words. It appears the “risk” may have been the careers of some Lt Colonels and Colonels. Published in the Air Force Times, July 23, 2007 by Charles Sutherland -- Every Marine, first and foremost, is a rifleman. Any Marine will tell you that, and I respect it . . . Published in the Army Times, July 30, 2007 by Charles Sutherland -- Every Marine, first and foremost, is a rifleman. Any Marine will tell you that, and I respect it. Published in the Marine Corps Times, Aug 6, 2007 by Charles Sutherland -- Every Marine, first and foremost, is a rifleman. Any Marine will tell you that, and I respect it. Mr. Sutherland, thanks for your article on page 46 of the A.F.Times of July 23, 2007 ( THE RIFLEMEN ). It bothers me very much to see untrained Airmen being used as Infantrymen. For them, this is suicide. As the Department of Defense knows, The U.S.A.F. prepares, and trains for Air Combat. The U.S.N. prepares, and trains for battle at sea. We don't know our way around the block on land. What are our Political and Military leaders thinking? I don't think we have any. Thank you for writing your article published in AF Times of July 23d. Your article expresses an opinion that I have wondered about ever since it happened, and why airmen themselves have not expresssed the same question although we both know the answer to that. Why would the AF leaders agree to such an assignment for our Airmen unless it was a political decision??? I live near Beale AFB and have seen the personnel continually deployed from there regularly, and do not believe that the AF has the extra 5,000 to provide....they just have to comply with orders. I think that you are absolutly right that the Army or Marines should be authorized and train these men thoroughly for these asignments. Keep writing, and I would express yourself more strongly!!!! I read with great interest your article conerning assigning "airman" to front lines or wherever with guns. I agree that this is "crazy" at best. I served proudly for 21 years in the Air Force regardless of my tours of duty. I was ready and able to go anywhere anytime. I have the deepest respect for any serviceman and even more for those that are put in a situation where firing a weapon is required. I was not one of those for a very good reason....I was not trained. The Army and Marines are trained not only how to fire the weapon, but also the tactics etc. required in a war zone. Again I was not. We all know that in a ware zone anyone (including) airman may be required to use a weapon, that is completely different from the story you related in that these airman were placed in the same positon as army and marines with no real training. Thanks again for the article. BUT NOT EVERYONE AGREED . . .
Dear Sir, I serve in the Marine Corps for 22 years, I think that the Air Force should learn how to be rifleman, if we were to get in a real war where there base is overran what is the Air Force going to do depend on the Army or the Marines to take there base back? I feel that everybody in the Air Force should know how to use a rifle and employ it tactile just in case they may have to stop being a cook or mechanic to fight or assist the Army or the Marines in battle. All Marines are rifleman first and there MOS second and the Air Force needs to get with the program. Published in the Air Force Times, did I help this happen? Mabye, but probably not, but we did talk about it before the decision. I agree wholeheartedly with Charles Sutherland's opinion piece on UAVs. These platforms are prime examples of airpower. The USAF is not asking to purchase Patriot missile batteries, even though they are a counter-air capability. Mr. Sutherland brings out a point being overlooked. Airpower is best employed in the hands of Airmen. The national security strategy of the United States has an ultimate goal of ending tyranny in the world by helping to create a world of democratic, well-governed states that can meet the needs of their citizens and conduct themselves responsibily in the international system. The United States is in the early years of a long struggle, similar to what our country faced in the early years of the Cold War. The 20th century witnessed the triumph of freedom over the threats of fascism and communism. Yet a new totalitarian ideology now threatens with an ideological content which may be different from the ideologies of the last century, but its means are similar: intolerance, murder, terror, enslavement, and repression. The US Code is the law of our land. Title 10 is the part of the US Code that covers the organization, requirments, and functions of the United States military. All functions in the Department of Defense and its component agencies are performed under the authority, direction, and control of the Secretary of Defense. This document expands on US Code Title 10 as a guidance document for the military. AFDD 1 is the premier statement of the US Air Force basic doctrine. The Chief of Staff of the Air Force (CSAF) uses it to establish general doctrine guidance for the application of his forces across the full range of military operations. It forms the basis from which Air Force commanders plan and execute their assigned missions and act as a commander within a Service, joint, or multinational force. FM 1, The Army, is the Army's capstone doctrinal manual. The Chief of Staff, Army uses it to tell soldiers who they are, what they do, and how they do it. It points the way to the future and establishes doctrine for employing land power in support of national security strategy and national military strategy. It also delineates the Army's purpose, roles, and functions as established by the Constitution: the Congress in Title 10, USC; and the Department of Defense Directive 5100.1. The Commandant of the Marine Corps uses MCDP 1 to describe the philosophy which distinguishes the U.S. Marine Corps. The thoughts contained in it are not merely guidance for action in combat but a way of thinking. This publication provides the authoritative basis for how the Marine Corps fights and prepares to fight. It provides broad guidance in the form of concepts and values. It requires judgement in application. The Chief of Naval Operations and the Commandant of the Marine Corps use this publications to outline the princples upon which naval forces are organized, trained, equipped, and employed. It explains how naval forces attain both enduring and evolving national objectives, emphasizing their participation in joint and multinational operations. It presents broad guidance for the total Navy and Marine Corps team, active and reserve. Joint Doctrine This link takes you to jont doctrine education and training information, most of which are available to the public. Joint Doctrine Publications This link takes you to the Joint Electronic Library's list of Multi-Service Publications avaiable for download, but only for .mil users. This link is not available to users emanating from any other domains, including .com, .gov, and .edu. Air Force Doctrine Documents This link takes you to the Joint Electronic Library's list of Air Force doctrine documents available for download. Army Publications This links takes you to the Joint Electronic Library's list of Army publications available for download. Navy Warfare Development Command This link takes you to the Navy Warfare Development Command's page. Some information is restricted. Marine Corps Publications This link takes you to the Joint Electronic Library's list of Marine Corps publications available for download. Coast Guard This link takes you to CG 1, U.S. Coast Guard: America's Maritime Guardian, 01 January 2002 publication. Fact Monster: Designed for kinds of all ages, this site offers an amazing array of facts and figures in addition to homework help, an almanac, dictionary and much more. Information Please Almanac: Online almanac offering millions of interesting and useful facts on a wide variety of subjects. Gallup Organization: Search thousands of poll reslts, special reports, societal trends and social audits. Internet Public Library: An exhaustive collection of over 20,000 titles. iTools Research: Collection of online research tools including dictionaries, translations, quotations and more. National Archives: National Archives online directory of U.S. Federal records. Smithsonian Institution: User friendly site for the world's largest museum complex and research organization. U.S. Census Bureau: A wealth of basic information about the U.S., broken down on a national, state and local level. U.S. Department of Labor: Bureau of Labor statistics site containing current labor statistics and links to hundreds of state and Federal agencies. U.S. Federal Government: Statistical information from over 100 federal agencies. A Fist Full of Throttles: A tribute to one's flying career spanning 32 years, if you like marching music, you'll love this. B-52 Fini Sortie: More marching music, this video is less than 3 minutes. Most of the pictures are from my last B-52 flight. B-52 Cockpit Sound: No music, just the near-deafening wind-noise of high altitude cruise in the BUFF. There is a solution that makes sense.